NEW LISTING - Luxury estate home for sale in Providence Plantation at 3300 Plantation RD, Charlotte NC 28270. MLS# 3074745. Highly sought-after Providence High School district! List price is $800,000. WOW! Wait until you see this full-brick beauty on 1.31 acres in Providence Plantation, one of South Charlotte's most sought-after neighborhoods! With almost 5,000 SF and 5 Bedrooms/4.5 Baths, you'll have plenty of room to spread out and enjoy luxury living. Buy now and move in time to enjoy the awesome in-ground pool and outdoor living space, complete with a cabana and outdoor fireplace. Bring the party outside - it's all ready for you! All Bedrooms with access to renovated Full Bathrooms, with new vanities, granite counters, custom tile and new fixtures. Possible 2nd living quarters upstairs (using bonus room with full bath and kitchenette) or in-law suite or nanny suite. Dramatic Great Room with vaulted, beamed ceiling, stone fireplace with gas logs, large wet bar area, and access to deck. Discover what so many families have already discovered about Providence Plantation in South Charlotte, NC - it is ONE SPECIAL NEIGHBORHOOD! You'll find that properties run the gamut from ranch homes to sprawling 3-story homes with basements, and everything in between! Lot sizes are comparatively large, and the developers didn't clear cut the neighborhood before building homes. You'll find mature lots and winding streets, and homeowners take obvious pride of ownership in their homes. Newcomers are WELCOME in Providence Plantation! My family moved here in 1998, and I can vouch for the feeling of community in the neighborhood! There are lots of social groups to join - book clubs, poker clubs, supper clubs, play groups, garden clubs, golf clubs, and MORE! Meet your neighbors and have fun at the Providence Plantation Racquet and Swim Club! You can join a men's, women's or juniors tennis league, participate in social events at the pool during the summer, or have your kids join the FUN swim team. The club features a junior-Olympic sized pool, 6 lit tennis courts, a tennis professional who provides clinics and individual instruction, league play, and a playground for the kiddies. It's a real bargain - $700 one-time initiation fee and $700/year dues thereafter. Providence Plantation Homeowners Association is a resident-run HOA. This means you don't have an outside management company dictating what happens in YOUR neighborhood. is a resident-run HOA. This means you don't have an outside management company dictating what happens in YOUR neighborhood. The Providence Plantation HOA board is made up of volunteer RESIDENTS - you know they have the neighborhood's best interests at heart. Membership/dues in the HOA are VOLUNTARY - but I strongly urge you to join the HOA. It's only $80.00/year, and this price has not increased since I moved here in 1998! It's a small prpice to pay to join your neighbors in supporting the 'hood! The dues cover maintenance/landscaping of the 5 entrances, security patrols, neighborhood directory and several social events. I hope you'll join me in supporting the Providence Plantation HOA! If you're looking to buy or sell a home in Providence Plantation, I hope you'll contact me at the start of your journey. I've lived in Providence Plantation since 1998, and I know the neighborhood inside and out. I've got lots of experience listing homes for sale in Providence Plantation, and helping buyers find their dream home in the neighborhood. There's so much to consider in every real estate transaction. My goal is to be your trusted advisor every step of the way, whether you are buying or selling, so that your transaction is as stress-free as possible! I look forward to sharing everything I know about Providence Plantation: the lifestyle, the schools, the commutes, you name it! All it takes is a phone call, and we can get started on your journey! Thanks for continuing to share this fine information. Have a great day ahead. Thanks Kelly and Ryan, it's great to hear from you! 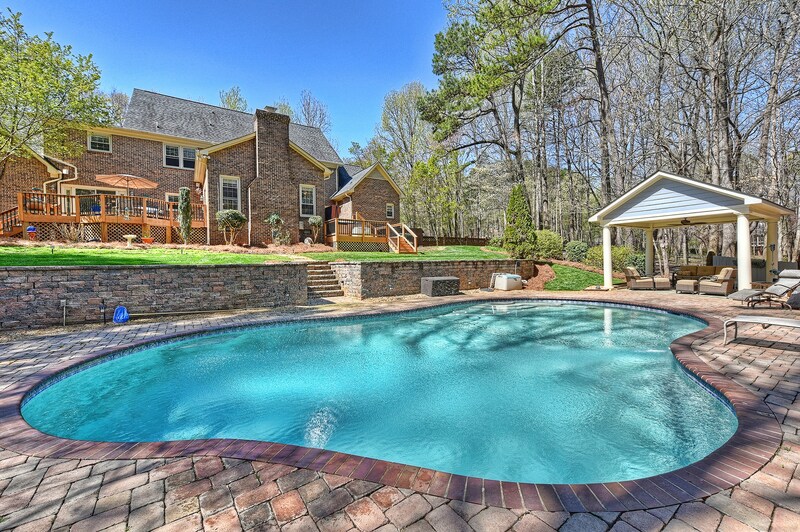 Yes, this is a wonderful new listing in South Charlotte NC! Post © 2019 Melissa Brown, Realtor - South Charlotte NC Homes for Sale (Helen Adams Realty). Design © 2019 ActiveRain, Inc. All rights reserved, Inc.